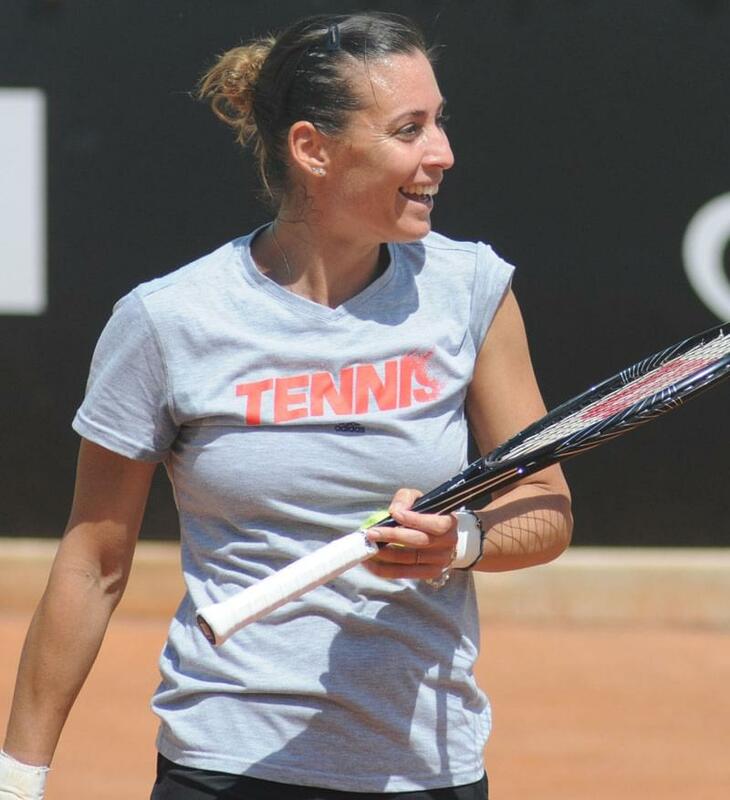 Flavia Pennetta was born on the 25th February 1982 in Brindisi, Puglia, southern Italy to Oronzo Pennetta and Concetta Intiglietta; she has an older sister called Giorgia. Both of her parents and sister play recreational tennis and Flavia was introduced to the sport at the age of five by her father. She showed great aptitude for the game and in 1999, when she was 17, she won the French Open girl's doubles with Roberta Vinci. Flavia played on the International Tennis Federation circuit for several years before becoming professional on 25th February 2000 and by 23rd September 2002 she was ranked number 100. In 2004 she reached her first WTA Tour final at the Abierto Mexicano Telcel in Acapulco but she was defeated by Iveta Benešová. In July of that year she won her first WTA Tour Title by defeating Klára Koukalová on clay at the Orange Prokom Open in Sopot, Poland. At the beginning of 2005 she won two consecutive titles, the Copa Colsanitas and the Abierto Mexicano Telcel and she performed well in many other tournaments that year. She ended the year ranked number 23 in the world. Pennetta had a good start to the 2006 season as runner-up at both Bogata and Acapulco, repeating this success in 2007 by reaching the semi-finals in Bogata and again, the finals in Acapulco. Also in 2007 she gained a title in Estoril and reached the semi-finals in Barcelona and Biella. 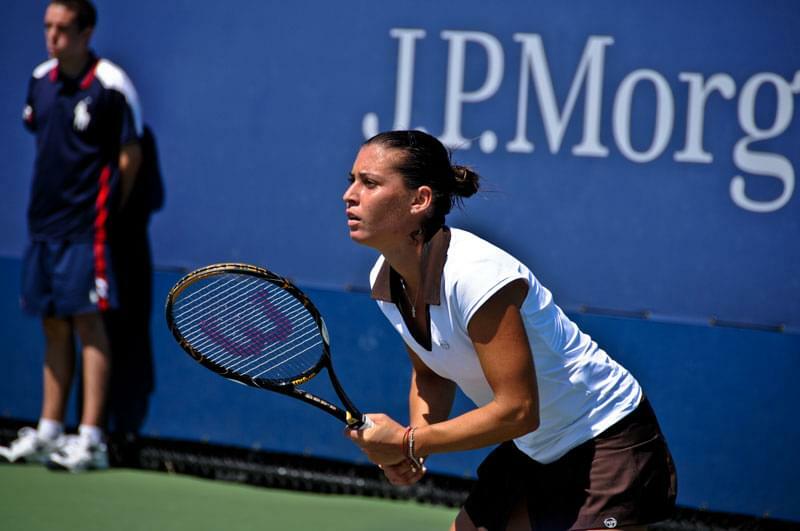 In 2008 Flavia Pennetta played for Italy's Fed Cup team against Spain, she only played one singles game which she lost. Her first title of 2008 was the Cachantún Cup in Viña del Mar, Chile, quickly follewed by her second title at the Acapulco Open. Later that year she reached the quarterfinals of the US Open, her best career performance at a Grand Slam. Flavia had continued success as a singles player in 2009 and entered the Australian Open as the 13th seed. She played for Italy's Fed Cup team again this year against France and won both of her singles matches resulting in Italy winning 5-0. Later in the year Italy played in the semi-finals against Russia and won 4-1. The rest of 2009 was successful for her with wins in Palermo, Los Angeles and Cincinnati and she made history by being the first Italian woman to enter into the top ten.During this time she also enjoyed much success in the doubles with Roberta Vinci as her partner. During 2010 Pennetta suffered a minor hip injury and did not perform well early on in the year. She won her first title of the year at the 2010 Andalucia Tennis Experience during which she did not drop a set and finished the year still in the top ten. She also won the doubles title in Miami with Gisela Dulko as her partner. Flavia Pennetta began 2011 very well by winning her first Grand Slam title, the doubles at the Australian Open, again with Gisela Dulko as her partner. She became the first Italian tennis player to be ranked number 1 in the doubles. In 2012, after a poor start to the year, she suffered a right wrist injury and had to have surgery which put her out of the game for several months She returned to the circuit in 2013 ranked outside the top 50 and it is rumoured that she contemplated retiring at this stage. She played poorly during 2013 and the beginning of the next year until she won the 2014 BNP Paribas Open, defeating Radwanska in the final. The following months showed her having more success, especially on clay, but without winning any titles. By october of 2014 she had risen to a world ranking of 15. 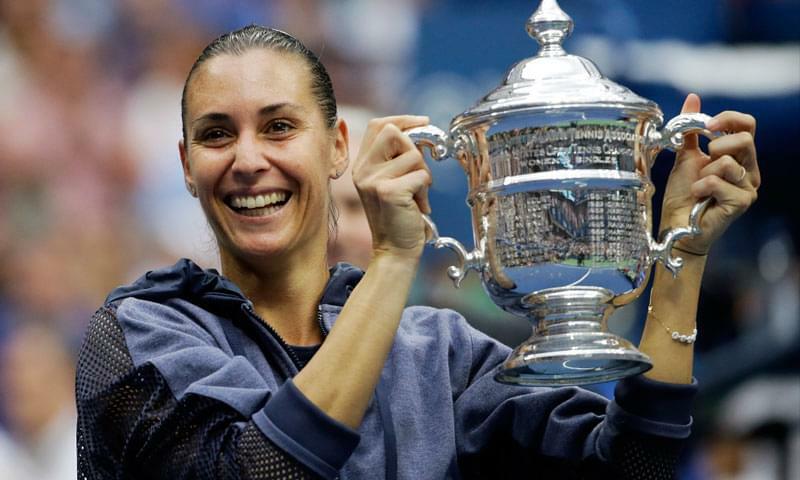 Although 2015 got off to a slow start for her she went on to win the US Open singles title, her first Grand Slam singles title, beating fellow Italian Roberta Vinci. History was made that day as it was the first time there had ever been an all Italian final in the Open era. Flavia reached the highest ranking of her career, number 6, after this win. She made the shock announcement during her acceptance speech that she would retire from tennis at the end of 2015. In her personal life Flavia dated the Spanish player Carlos Moyá until 2007 when they split up. She is now engaged to fellow Italian tennis player Fabio Fognini. Flavia Pennetta has also written a book of her memoirs entitled 'Dritto al Cuore' ('Straight to the Heart').